random is a term used to describe the process of generate data with no correlation. Generate unique keys from an API. Create the key exchange between an HTTPS connection. As you can see, all these examples use a random factor, but they are different. Also computationally they are different so, how to? Like most of the things in life, it depends. We can distinguish at least three types of random data generators. These depends on our use case: Generally a high entropy process take more time (or 💰), but not always you need it. The ideal case. True randomness, to which no pattern or algorithm applies. It’s debatable whether this really exists. To have any hope of producing truly random data, you must reach outside the computer and sample the analog world. This means use specific hardware for this purpose as well. At Cloudflare they use a wall of lava light to generate enough entropy to encrypt the requests. Also known as Pseudo-Random Number Generators (PRNGs). The tick count since boot time. How many time takes an npm install. They are deterministic because they use an algorithm or a mathematical formulae for be calculated but, on the other hand, they are sufficiently random for practical purposes and they make the process more efficient. Math.random is an example of a way to get a pseudo-random number between 0 and 1. In cryptographically terms, Math.random doest not provide a secure random number. This means, probably you can use it to pick a random element from an array, but because the implementation is not robust enough, it doesn’t have the characteristics to be considered cryptographically secured. A subsection inside PRNGs are Cryptographically Secure Pseudo-Random Number Generator (CSPRNG). Theses examples are very close with nonce concept. 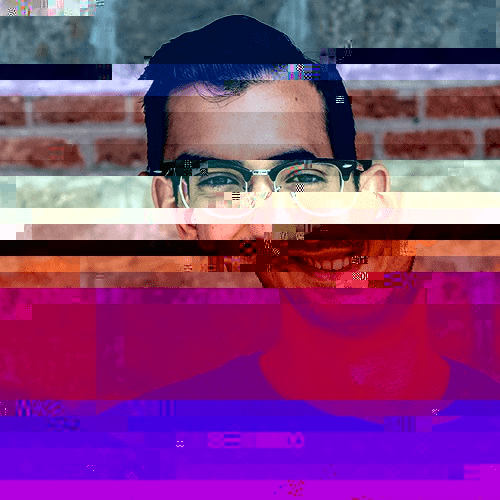 The code above generates raw pseudo random data. You need to be careful transforming the data because wrong data manipulation will modify how random it is. random-number-csprng – Get a secure random number between a range. uuid – Universally unique identifier, supporting multiple versions. 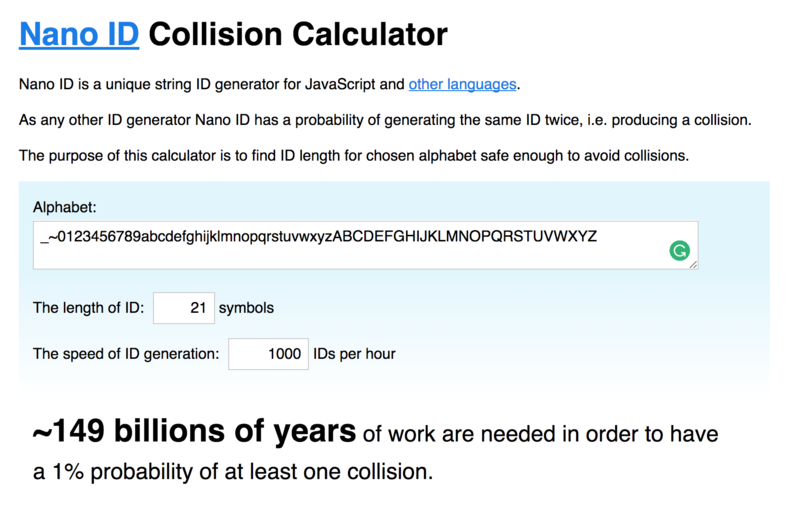 nanoid collision calculator estimates the probability of a collision based on nanoid algorithm. The world is random. Computers aren’t. Secure random values in Nodejs. Computers are Lousy Random Number Generators. Introduction to Randomness and Random Numbers.